Description The org chart shown above is for a community. 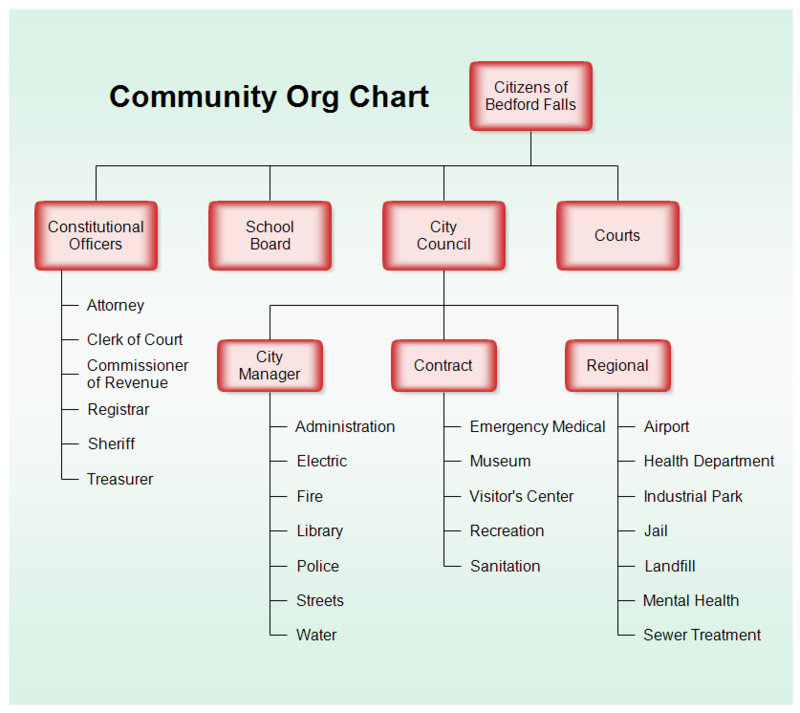 If you just started work at the library, this chart would show you that the library is under the management of the City Manager who reports to the City Council. Once RFFlow is installed, you can open the above chart in RFFlow by clicking on bedford_falls_org.flo. From there you can zoom in, edit, and print this sample chart. It is often easier to modify an existing chart than to draw it from scratch.